Some astrologers and other pseudoscientific goofballs are apparently making a lot of hay out of this (including some doomsayers who have bought into the 2012 hysteria), but I’m here to tell you that this is the effect of nothing more than simple physics. 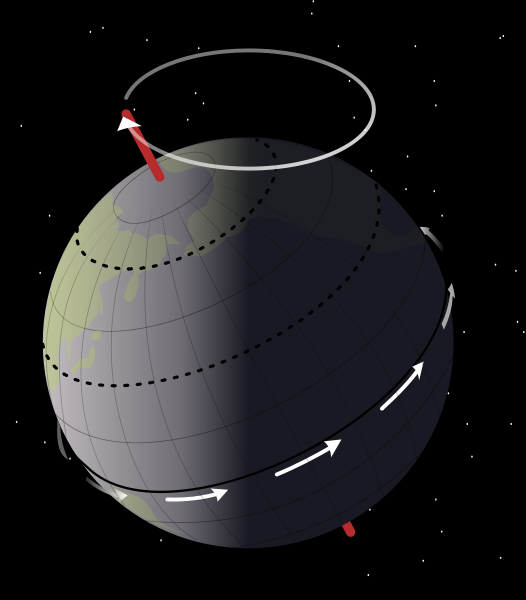 What is going on is just the effect of the rotational axis of the Earth twisting around in a cone – this is a phenomenon called axial precession. Picture a spinning toy top on the ground – does it stay upright and keep spinning forever? No, it eventually starts to wobble. 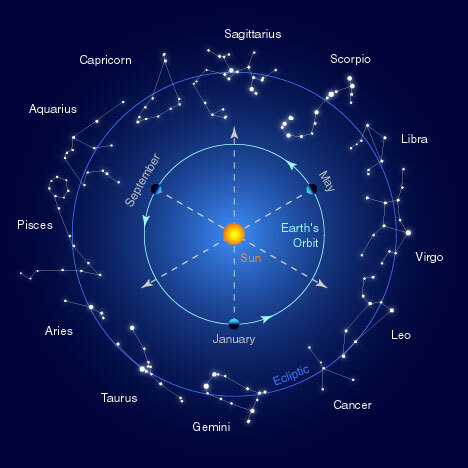 In much the same way, the Earth’s rotational axis wobbles, and it takes about 26,000 years for this cycle to complete. For example, many of us have heard of the North Star, also known as Polaris, as the star in the sky right above our north (geographic) pole. That is, if you were standing at the geographic north pole of the Earth, Polaris would be directly overhead all the time with the rest of the sky appearing to wheel about it. Well, believe it or not, Polaris hasn’t always been the North Star; in fact, about 13,000 years ago (halfway through our precessional cycle) our North Star was Vega! If you’d like to see an excellent blog post on this same subject, I highly recommend this entry by Phil Plait over at the Bad Astronomy Blog. This entry was posted on January 15, 2011 at 2:30 am	and is filed under astrology. Tagged: 2012, armaggedon, astrological, astrology, astronomy, axial, axis, constellations, cosmic, doomsday, Earth, ecliptic, end of the world, horoscope, North Star, physics, polar, Polaris, pole, precession, pseudoscience, rotation, shift, shifting, signs, sky, stars, wobble, zodiac. You can follow any responses to this entry through the RSS 2.0 feed. You can leave a response, or trackback from your own site. But I can’t get through the day without making decisions based on an arbitrary allocation of personality traits supposedly intrinsic to every person on earth with a birthday close to mine. Gugulanna is the great bull of heaven.